Welcome back to another week of Cricut Design Space Basics. 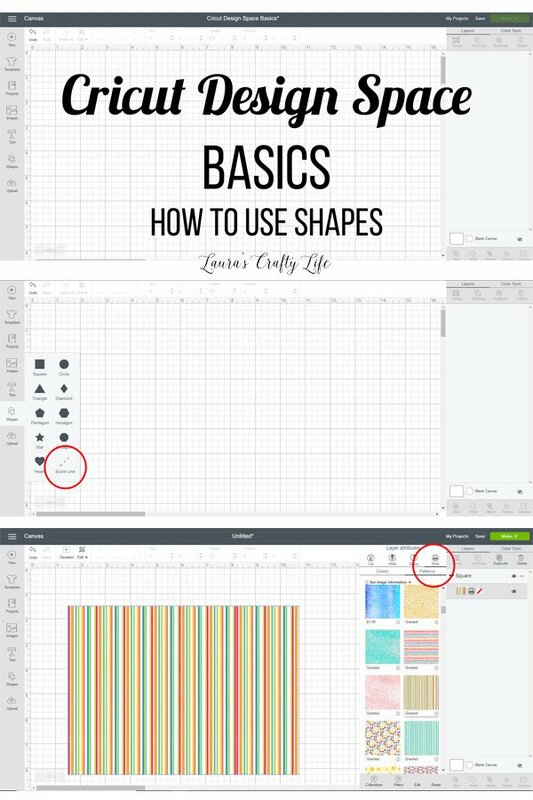 Today, I am going to show you how you can add shapes to Cricut Design Space. Shapes can be used on their own to create fun projects or as templates to help guide your placement of other images on your final design. Open Cricut Design Space, select New Project and click on the Shapes tool in the design panel. You can choose from a square, triangle, pentagon, star, heart, circle, diamond, hexagon, octagon, and score line. Select one of the shapes, and it will be added to the canvas. To keep everything in proportion when resizing, be sure the blue and white lock icon is closed on the bottom left corner of the image. You can then drag the bottom right arrow in or out to resize your shape. You can also type your exact dimensions into the edit bar at the top. To unlock the shape proportions to create even more shape designs – like a rectangle or an oval – select the lock icon in the bottom left corner so that the lock is open. Then you can drag your shape to your desired proportions without the aspect ratio staying the same. Helpful tip: I use this feature a lot to create a rectangle the size of 9.25″ x 6.75″ when I do a Print then Cut design. This is the maximum size available for Print then Cut. Using the rectangle as a template, I know my images will fit on the design on I am printing out. To change the color or pattern of your shape, select the shape in the layers panel and click on the color icon. Click on the color you want your shape to be under the Basic Colors or type in your Hex Color Code. If you plan to use the shape as part of a Print then Cut design, click on the Print Icon, then choose Patterns. You can fill your shape with any of the provided patterns. You can also rotate your shape by either clicking and hold the circular arrow icon in the upper right corner of your shape or you can type the rotation directly into the edit bar. You can also add a score line to your project to tell your Cricut machine to use the scoring tool. Simply click the Shapes tool in the design panel. Then select Score Line. Now you can resize and place your score line on your project. To center and align the score line with your shape, select both the base layer and your score line. And then use the Alignment tool in the edit bar. Note: Be sure to Attach your score line to the layer you want to have scored. This is a great feature for creating perfectly sized cards. 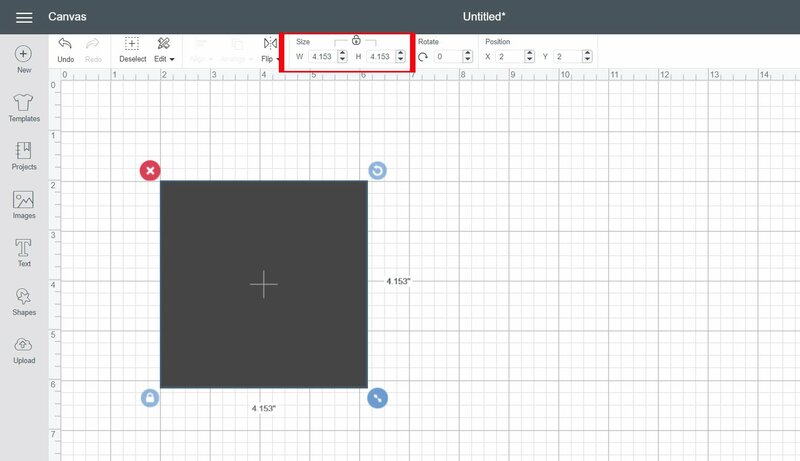 To delete a shape simply click on the red x icon on the upper left corner of the shape. You can also select the shape in the layers panel and click on the delete button. If you are using the shape as a template and don’t want it to be cut or printed with the final design simply select the shape in the layers panel and click on the eye icon to make it invisible. You can make a lot of fun projects using only the basic shapes that are provided with Design Space. And using shapes as a template for your final project is the perfect way to be sure everything will fit properly into your final design. Thank you for this!!! It was exactly what I was needing to know!! So glad you found it helpful! Have a wonderful week.